When you need to access heights across a large surface, mobile scaffolding can provide an excellent option to keep costs down. With the questionable safety of ladders and trestles, it pays to get a robust, cost-effective solution that doesn’t cut any corners. With mobile scaffolding from Aluminium Access Systems, you’re covered. Whether you’re painting or renovating, mobile scaffolding can minimise the amount of scaffolding you require while still providing access where it’s needed. We have a wide range of solutions available to suit your requirements, so give us a call to find out how simple it can be to get scaffolding that helps, rather than hinders, your work. Mobile scaffolding covers temporary support structures that are built on wheels or casters, so they can be moved from one place to the next. It is a safe and cost-effective solution for many trades such as painting and plastering, where work is carried out over a large area but for only short periods of time. Here are a few reasons why you should choose mobile scaffolding. The number one advantage of mobile scaffolding over other solutions is the ability to relocate it yourself. Unlike static scaffolding, you don’t need to disassemble and reassemble every time it needs to be moved, instead it can simply be pushed or pulled on its wheels. After all, that’ why it’s called mobile scaffolding. Mobile scaffolding is made from lightweight materials and, given that it is a smaller platform than a full-scale scaffold option, there are also less parts that need to be assembled. All this means that it can be erected incredibly quickly, minimising the set-up time for your project. Unlike traditional methods of access, such as trestles, mobile scaffolding comes with guard railings around its work platform, drastically reducing the risks of falling. When combined with adjustable heights and its ease of relocation, there is also less need to reach out beyond safe limits. Our range of mobile scaffolding has evolved thanks to 35 years working in the scaffolding industry. We only stock scaffolding made from quality materials and regularly test and maintain all our equipment. 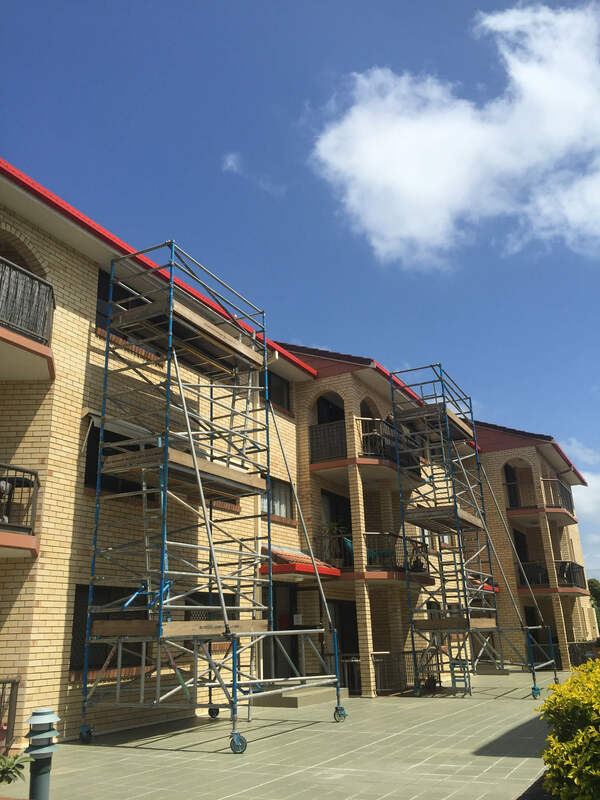 When you hire scaffolding from us, you’ll have peace of mind that you’re getting a safe and reliable work platform.